A beaver is released onto a stretch of river in northern Washington that has been prepped for its arrival. 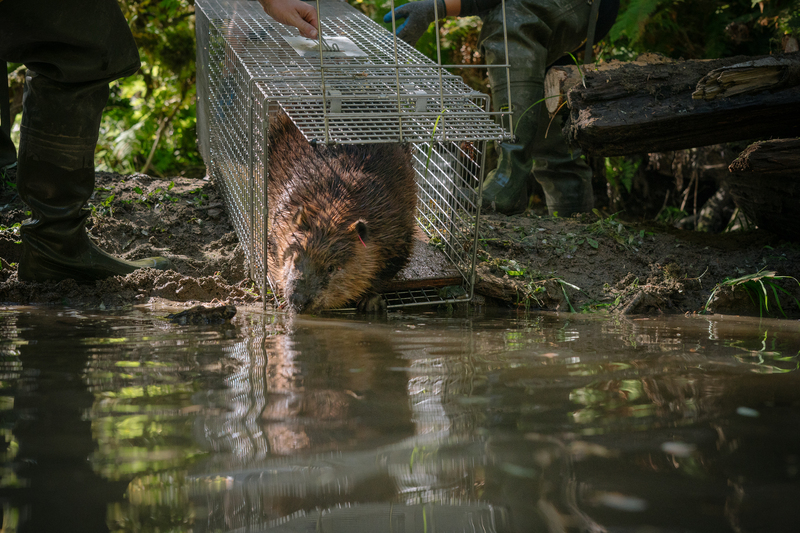 Biologists relocate "nuisance" beavers from urban areas into impacted stretches of river that have been equipped with manmade starter homes. Biologists hope the beaver will continue to build on the dams and lodges, using their beaver ways to restore impaired rivers.